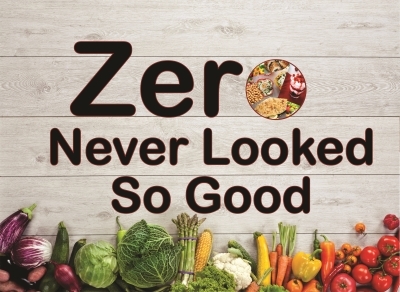 There's been a lot of buzz about the Freestyle zero points foods on Weight Watchers newest program. If you haven't heard about the list, some of the food items may surprise you. Fruits and veggies, to no surprise, are still zero SmartPoints. Of course if they are dried forms of the fruit or veggie, then guess what...it will have points to track. This is because they are considered a "snack" item and can easily be over consumed. What you may find surprising is some of the other items on the freebies list like eggs, chicken breast, unsweetened plain yogurt and even many beans. If you are looking for the complete list and want to skip what's new, just click here to go directly to the list. If you want to know what are the new items, then keep on reading. 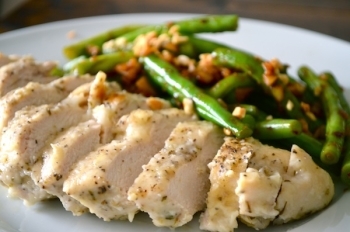 Weight Watchers has now included lean meats like chicken and turkey as well as fish. Also added to the list are other proteins such as tofu, eggs and beans. Even nonfat plain yogurts made the list. For the veggies, sweetcorn and peas have been added...WooHoo! Here is a complete list of the FreeStyle zero points foods that are new to Weight Watchers plan. You are probably saying to yourself that I could eat nothing but these foods and never use up my SmartPoints. How in the world can a person lose weight with these zero point foods? Well here's what Weight Watchers said about these items. "Foods designated as zero Points foods were chosen because they help form the foundation for a healthy eating pattern. are much less likely to be overeaten than other foods (it’s a lot harder to eat six chicken breasts than six cookies) so you don’t need to worry about weighing, measuring, or tracking them. Resource for FreeStyle zero points Weight Watchers quote. Like with any weight loss program, moderation is key. Just eat these foods until you are full but not stuffed. Be cautious of portion sizes as well. Don't just eat from the list. Add variety to your meals by adding healthy appetizers and sides. Perhaps a low sugar, low fat dessert is what sounds good after dinner tonight. When planning your meals for the day, just keep in mind that these foods, while "freebies" with the Freestyle plan, doesn't me they are free of nutritional values like calories. So think "smart" when adding these zero SmartPoints foods. With Weight Watchers new Freestyle program, and especially with the new zero point foods list, many questions have come up. People are asking why isn't this on there or why is that on the list. Here are the answers to some of these questions. Why are other meats like pork and beef not on the list? Beef, pork and lamb, according to the USDA classification, are considered red meats. Many diets, as well as the American Heart Association, recommend limiting the amount of red meats you eat in a week. For this reason, these items were not included on Weight Watchers FreeStyle zero points list. This doesn't mean you can't have them. Simply use your daily and weekly points and track them when you eat these foods. Why are peas and beans now zero points? 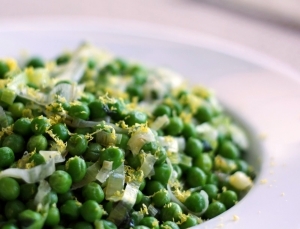 Peas and beans as we all know are heavier in carbohydrates than some foods that didn't make the list. So why did they make the Freestyle zero points list? New dietary guidelines state that healthy eating should include a variety of vegetables from all the vegetable subgroups. This includes the dark greens, red and orange, legumes (peas and beans), starchy and other veggies. Beans and peas are more filling, nutritious and are naturally fibrous than other foods. So go ahead and enjoy these without the worry of tracking SmartPoints for these items. Why are potatoes not zero points? You maybe asking why didn't potatoes make the FreeStyle zero points list? Other starchy veggies are on the list. The primary reason potatoes didn't make the list is that these are easier to overeat. For this reason, Weight Watchers recommends tracking your points when you eat potatoes. This doesn't mean you should skip the potatoes for your meals. Go ahead and enjoy them when you want, just be sure to track the SmartPoints values so that you don't over over your daily and weekly allowances. Why did seafood make the FreeStyle zero points list? If you are like me, you think of some seafood as high in fats and calories. So how in the world can these be on the zero points list? Well according to Weight Watchers, it was for a very simple reason. That reason was that most people do not eat enough seafood to get in their recommended weekly amount. So WW's FreeStyle Zero points now include all options of seafood, encouraging people to include this in their meal plans. Why is nonfat, plain yogurts on the list? Dairy provides many beneficial nutrients like calcium, phosphorus, vitamin A and D. The fat free version of these dairy products still provide the same nutrients but with fewer calories and zero saturated fats. This is why Weight Watchers encourages consumption of nonfat, plain yogurt and has added it to the FreeStyle zero points food list. Try the soy or the lactose-free versions for those of you with lactose sensitivities. If you are thinking nonfat plain frozen yogurt is now zero points you'd be wrong. The frozen version has SmartPoints values. This is because it is much easier to overeat than the unsweetened non-frozen version. You might be wondering, like I did, why non-fat cottage cheese or other non-fat soft cheeses didn't make the list. Well in a nut shell, these are higher in calories than the yogurt and are prone to overeating. Nonfat milk also did not make the list. That's because the liquid version doesn't give you the same feeling of being full as the solid version of nonfat dairy. Why is popcorn not zero points if corn is now zero? 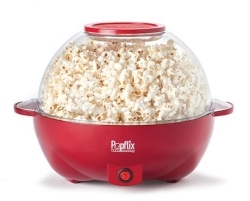 Because popcorn is a snack item, there is more risk of over doing it while eating this. It's harder to control portion sizes for snack foods. If you want some popcorn now and again, just avoid the added fats (butter) and will be very low on the SmartPoints. Why do dried fruits and veggies have SmartPoints? The short and sweet answer to this question is that in their dried form, they are considered a snack item. Snacks tend to be easily overeaten and therefore should be tracked. Additionally, the calories per ounce increase in the dried form. So eating an ounce of chickpeas will be less calories than eating an ounce of dried chickpeas. This same concept applies to dried meats as well. So if you make jerky from chicken or turkey breast, you will have to count the points. This however does not apply to smoked items. Smoked salmon, chicken, etc. are still on the FreeStyle zero points list. Why are smoothies not zero if made with the zero points items? With the Weight Watchers plan, smoothies count towards the SmartPoints. Even though the smoothie is made with plain, nonfat yogurt, fruits and ice and water (all on the FreeStyle zero points list) you still have to track the points values. The reason for this is a smoothie will take more fruit items in it's liquid form than a typical person could consume in one setting. For example, a smoothie might require a cup of strawberries, a whole banana and a 1/2 cup of kiwi. This amount of fruits would make a person full before finishing it if it was not in liquid form, which means you would be overeating these items. The FreeStyle zero points foods allow you to do less tracking and still lose weight. Eating out becomes more flexible as well as you can order many items off the menu that won't require weighing and measuring. Just use common sense when eating these foods. Eat only until full and not stuffed. Don't just eat these foods as you will get bored with the same thing each day. Mix it up and add some variety by adding foods with SmartPoints values. Weigh, measure and track when you need to. When you are "Free Stylin" it, eat without the worries and hassles and enjoy! If you feel like eating out tonight, check out the SmartPoints values first for your favorite menu items. With this recipe, your eggs and peppers are zero SmartPoints with the new WW plan.